you can now download this post whenever you wish...it will never time out! Rediscovered 2001 Mannlicher installation soundtrack NOW AVAILABLE! Soundtrack to Mannlicher Carcano's audio installation Off Register. 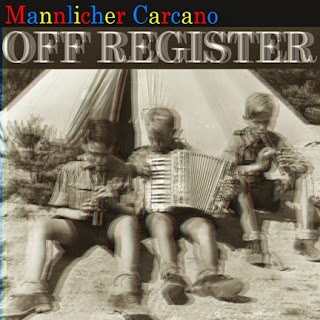 Mannlicher Carcano's Off Register is a soundscape created by the simultaneous playing of three individually composed sections of different lengths, which constantly recombine into new configurations. Mannlicher Carcano is comprised of three members, Porter Hall, Really Happening, and Gogo Godot, each of whom lives in a different North American city. Each collaborator created his portion of Off Register without knowledge of the other components, thereby creating a sound environment removed from both geographical specificity and individual creative intent. The work is a continuation of the group’s Ambient Narrative series, which uses narrative elements and structures (musical, verbal, documentary, and theatrical), and assembles them into a shifting, participatory, non-hierarchical continuum. This particular iteration is a reconstruction. 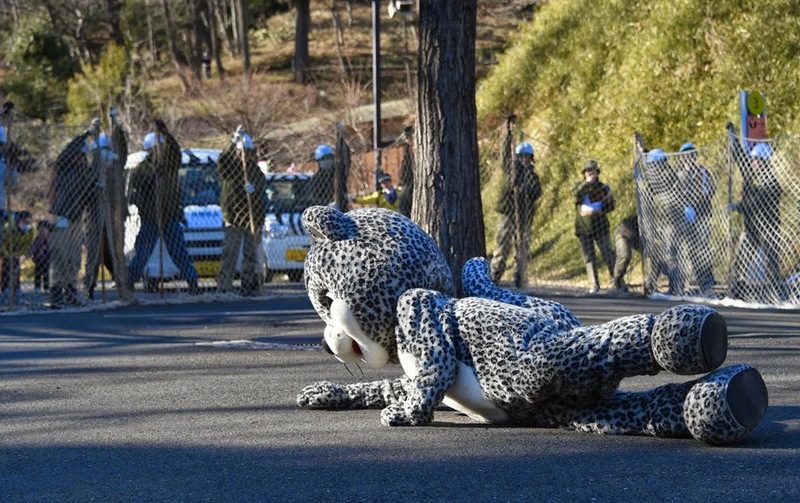 Although a field recording of the installation was made, its present whereabouts is unknown. The three individual CDRs that constituted the components of the piece - thought lost - were recently unearthed in Really Happening's audio dungeon, fallen behind a moldering Optigan. These were mixed into a single track simulating the mix an auditor standing in the center of the gallery might hear. Other mixes, including one that simulates the experience of moving through the space, may be forthcoming. Mannlicher Carcano is an experimental, improvisational audio collage group who have been working together since 1987, creating performances, recordings, installations, and radio art. They produce a weekly radio and web-cast, The Mannlicher Carcano Radio Hour, and have released over 25 cassettes, CDs, CDRs, and vinyl recordings.